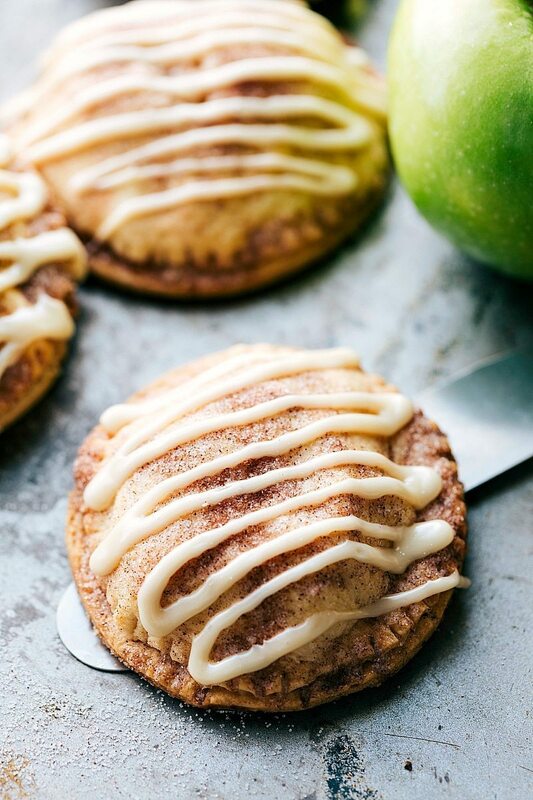 Simple, delicious, and flakey hand apple pies with a maple glaze made for dipping in a thick, rich, and creamy caramel sauce! The best part about this recipe today is you do not need to make your own Caramel Dip! 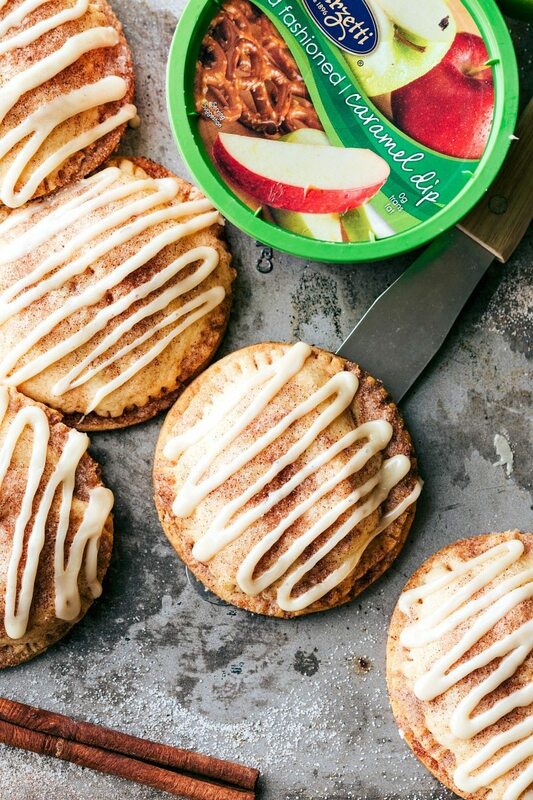 I’m using Marzetti‘‘s Old Fashioned Caramel Dip with these apple hand pies. 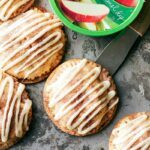 My family LOVES this dip with the hand pies and we absolutely love it with plain apples as well. 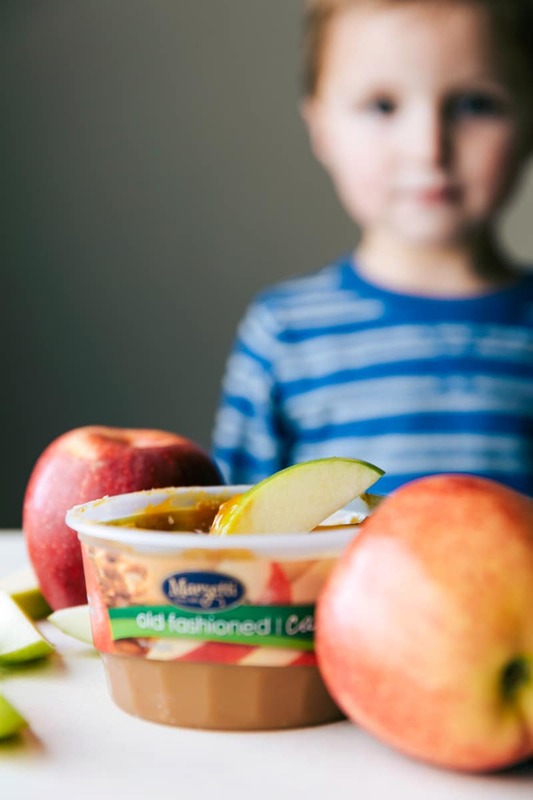 The dip was created to go with apples and to make it easy to celebrate fun Fall traditions. I swear at the start of every new year, when I look back on the last year, it is the Fall-time that holds my favorite memories. Corn mazes, apple picking, pumpkin carving, the holidays, family-time — it’s all started in the Fall time! Not to mention, you all know Halloween is my favorite holiday. I mean, if you didn’t, head to my home page where there is about a gajillion Halloween treats! Ha! I’ve also got a little video tutorial today which I’ll tell you right now is my favorite video to hit this site EVER. The toddler and I had the absolute best time making it for you all and he has talked about it for days. He also insists that he made the movie all by himself. 🙂 He’s told no short of a dozen people about his movie making skills and has watched the video at least a hundred times. I always talk here about how much we enjoy baking and cooking in the kitchen and now I’m excited to finally show some of the fun we have! Roll out all the pie crusts and using a large circle cutter, cut out 4-5 circles in each pie dough so you should have a total of 16-20 circles. Set half of the circles on the tray. Place the apple pie filling in a large bowl and add in the vanilla extract. Using two knives, cut the apple pie filling into small pieces. Scoop the filling into the center of all the circles on the tray. You might not use all the filling, but close. Place the remaining circles of dough on top of the apple filling and crimp the edges securely using the tines of a fork. Toss together the brown sugar and cinnamon and sprinkle that mixture on top of the melted butter. Bake in the preheated oven until pies are a very light golden brown and filling is bubbling, 20 to 30 minutes. Remove from the oven. Whisk together the powdered sugar, maple syrup, and milk as needed (add slowly and increase if needed) until a very thick frosting is formed. While the pies are still warm (not hot), drizzle this mixture generously over the pies. Dip the pies into the caramel sauce and enjoy! My favorite fall treat is pumpkin anything! Specifically chocolate chip pumpkin bars. Yum yum! 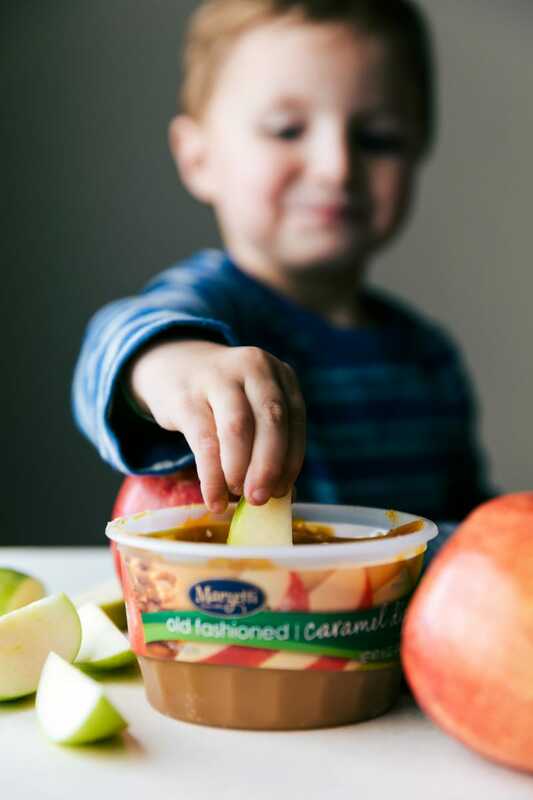 My favorite fall treat is anything caramel apple! I have a delicious recipe for caramel apple cheesecake bars so those would probably have to be my favorite. This is a fun recipe…thank you! Some of my Fall Favorites are anything PUMPKIN! Love Pumpkin Scones with Cream cheese icing drizzle! I love your Blog and look forward to receiving it! My favorite fall treat is anything pumpkin….pie, muffins, absolutely anything with pumpkin! I love my pumpkin pie in the fall. Baked apple slab Pie with a Caramel Drizzle. If my granddaughter will be there too… together will make a Pumpkin Roll. P.S. I can see that the Caramel Apple Hand Pie will become a favorite at our home. My favorite fall treat is candied pecans. These look delicious!! My favorite fall treat would have to be pumpkin chocolate chip cookies. My other favorite fall treat is your pumpkin spice lattes! My favorite fall treat is a thing called Peaches and Cream. Vanilla wafer crust, fresh peaches and whipped cream. Yummy!!! My favorite fall treat is pumpkin cheesecake! Growing up I would go to my Aunt & Uncles farm in the fall. She would make big pans of apple slices for the farm hands. Out of this world! She has since passed but her daughter can make them just like hers. Never had better ones. Butternut squash soup is my fall fav! Well soup in general, but using the in season squash really makes it special. 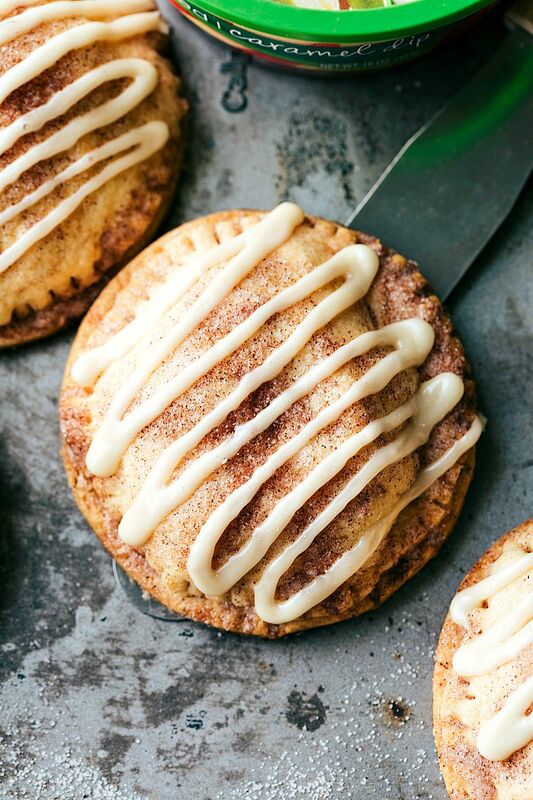 I can’t wait to make these hand pies- they look delicious! My favorite Fall food is anything with apples and caramel. I dicovered a wonderful apple cake with cinnamon buttercream and a caramel topping and I’ve made it three times in the past two months. Yum! My favorite fall treat is a pumpkin muffin. Looks so delicious!! I am going to make this, this weekend for sure! My favorite fall treat is pumpkin chocolate chip cookies. I love sweet potato pie! Yummy! Oops – i commented twice – didn’t scroll down far enough to see my comment from several days ago. SORRY!!! Pumpkin bread with chocolate chips!! Dutch apple pie with sharp cheddar cheese…yum! My favorite fall treat is gingerbread cookies. My favorite fall treat (that I didn’t make) is a DQ Pumpkin Pie Blizzard! I also love homemade pumpkin pie. My favorite fall treat is pumpkin pie. My favorite fall treat is apple crisp. Love to make apple butter and apple sauce during the fall as well. Oh wow, these hand pies sound absolutely delicious!! I also love that they are mini, how cute and fun! 🙂 My favorite Fall treat is anything and everything with apples in it! Also, caramel and apples make the perfect Fall flavor combination! Pumpkin pie, pumpkin bread, and pumpkin empanadas! My favorite fall treat has to be homemade pumkin pie. I can justify eating it for breakfast. I love it that much. I hope to try this hand pie recipe soon. It looks delicious! My favorite fall treat is pumpkin cream cheese muffins! Yum! My favorite fall treat is a warm apple dumpling topped with vanilla ice cream! Now I’m hungry! Caramel apples are my favorite treat in the fall. My Favorite fall treat is hot peach cobler with a scope of real vanila ice cream with some carmel drizzled on top.. So yummy. My favorite fall treat are apple cider donuts from an apple farm, and still warm, humbly placed in a plain bag, but ooh so good! My favorite fall treat is honey crunch pecan pie. Toss up between pumpkin pie and apple pie. This recipe sounds delicious! I love pumpkin spice anything! My favorite fall treat is apple cinnamon bread.